Although the repeal of Prohibition meant that winemakers were back in business, selling their products to American consumers proved a challenge. Established in 1938, California’s Wine Advisory Board set out to promote wine as a positive addition to the American table. Advertisements produced by the board during the 1950s and 1960s encouraged consumers to embrace wine as part of an all-American meal, as an enhancement to the new convenience foods, or as part of a casual, modern lifestyle. Despite these efforts, it would be at least another decade before the idea of wine as part of everyday American social life really began to catch on. 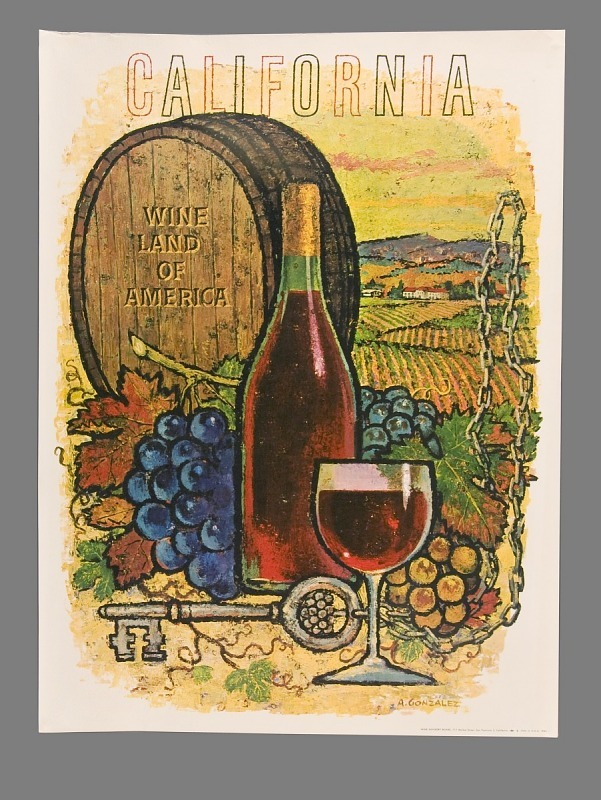 In the mid-1960s, the Wine Advisory Board produced a series of posters heralding California as the “Wine Land of America.” They featured original artwork by Amado Gonzalez, an artist who taught at San Francisco’s City College. The Wine Advisory Board promoted wine and “the California way” of enjoying wine with food.